Having discovered an already functional jailbreak for the Kindle Touch recently thanks to independent developer Yifan Lu, I was also pleased to note that there is a way to get your older Kindle devices somewhat more up to date. 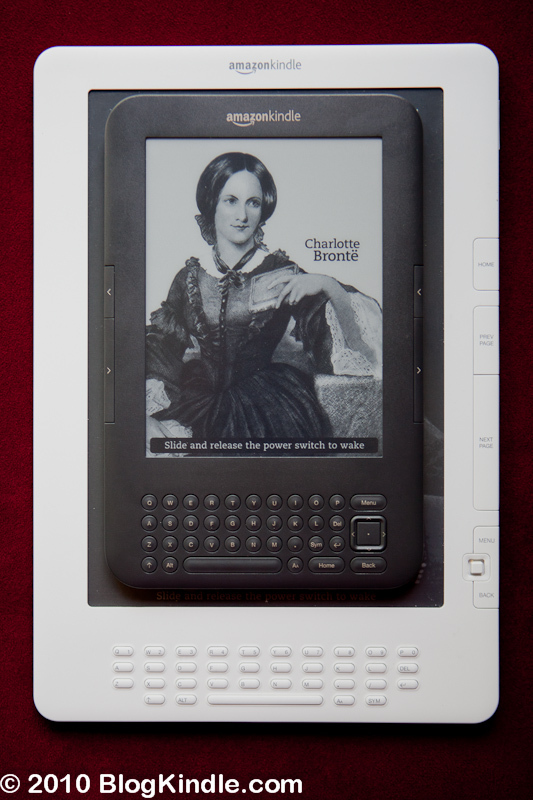 It turns out that the hardware improvements in the Kindle 3 as compared to the Kindle 2 and Kindle DX, particularly the processors, were not significant enough to make it impossible to run the newer version. To get this update installed, you will need a few things. The most important, and possibly the hardest to get in some cases, is a working Kindle 3 (Kindle Keyboard) that has been jailbroken. Assuming you have a spare Kindle 3 laying around, the same site linked in the instructions to follow contains detailed instructions on the jailbreaking process under the “Projects” tab. You will also need a minimum of 900mb free on your Kindle 2/Kindle DX and 720mb free on your Kindle 3. Naturally a USB transfer cable will be important as well. Assuming you have all of these things, check out this page on Yifan Lu’s site. The included instructions are simple to follow and while it will probably take you anywhere from one to three hours to complete the entire process, there is little room for error if you follow the order of operations correctly. Should you allow either of your Kindles to lose power while they are in use, it is likely to cause some major problems. Charge them before you begin. Once completed, you will have to repeat the process for any future firmware updates. 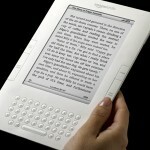 The Kindle 2 or Kindle DX will not be able to automatically access the files released for the Kindle 3. While the hardware difference between these Kindles is not large enough to make the process inadvisable, as it would be if going from the Kindle 4 to the Kindle 3, there is a difference. You will experience slight lag as the downside of your improved functionality. Active content such as Kindle games will not work as a result of the update. The developer of this update process doesn’t know exactly why, nor does there seem to be any major fix for this. Be aware. Sound/Music playback on the newly updated device will be flawed. Since it will have been jailbroken it is possible to install an alternate music player to fix this, but it is an additional step for people who make much use of the eReader’s audio playback abilities. There have been some unconfirmed reports that extremely large PDF files have issues on devices updated in this fashion. This is likely the result of slightly inferior hardware and will probably not be an issue compared to the greatly improved PDF handling, but it is worth noting. We can’t quite say why Amazon chose not to update these older Kindles, although it has been speculated that they were consciously abandoned to drum up business for the Kindle 3. Also possible is the idea that faster processing simply opens more doors to new features that couldn’t be productively implemented otherwise. 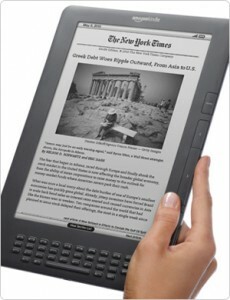 Either way, at least now it is possible for owners of older Kindles to get the most out of their devices. While the newer Kindle 4 and Kindle Touch are great, eReaders are made to last and there is no reason for a satisfied owner to throw away their perfectly good Kindle 2. With the Kindle DX it’s an even more obvious choice, since there is yet to be a hardware update to the larger form and it looks increasingly like there never will be. This update makes it even more desirable for those who need the 9.7″ screen. This morning provided us with a neat deal for anybody interested in a slightly more expansive screen than that available on the usual Kindle. Today, April 15th, anybody who’s interested can snag themselves a Kindle DX for $80 less than the usual asking price of $379. Size isn’t everything, as the saying goes, but it’s a decent consideration for this purchase if you’re in a position to take advantage of it. The advantages are fairly obvious and stem mainly from the larger screen. It gives you a lot more real estate to work with. This means the potential for better PDF presentation, which I find essential for any serious academic or technical reading. It also makes for more convenient reading of books on larger font sizes, since even if the screen refresh rate has gotten to the point of not being an issue it’s still obnoxious to have to flip after every hundred words or so. The sacrifices that are required for the improved screen are minimal. Some people will find the weight a little bit much for single handed reading. It does weight slightly more than twice as much as my Kindle 3, it’s true. This emphasizes what I consider to be the only major flaw of the device: No buttons on the left side. You are required to handle all the controls on the right. Combine those two issues and you get a fair amount of inconvenience. From personal experience I would say that it goes largely unnoticed pretty fast in the face of the expanded screen, though I notice that some reviews on the site are a bit more vehement about the issue. Keep in mind when you consider buying this that the current model of the Kindle DX came out slightly before the Kindle 3. As holdovers from an earlier generation of the product line, it still has a 5 direction navigation stick instead of the pad and it lacks WiFi capabilities. This last is especially a concern if you or the person you are buying for happens to live outside of the US, as the coverage internationally is less than ideal, by all accounts. Overall, however, it’s a great product for reading. I’ve been using mine since a few weeks after it was released and have absolutely no complaints. Due to the size, it tends to get brought out mainly when reading a brand new book, for that fresh hardcover feeling, or when I need to look at something larger like a textbook or diagram. The DX handles pretty much everything I’ve thrown at it without a problem. The overall 4-star review status would tend to confirm my personal assessment, with the majority of negative reviews seemingly concentrating on problems with Amazon’s customer service or a now-resolved hardware problem when using the leather case being sold as an accessory. As always, let me emphasize: This is not a tablet PC. I know it’s the same size as one, and it has a big screen, but this is a device for reading. It may be significantly more expensive than the Kindle 3, but it’s still a Kindle. Do not buy the Kindle DX expecting anything but a great way to read your books. Let’s be honest, many of us were wondering what the status of the Kindle DX would turn out to be after the recent price cuts on both the Kindle and the nook made it seem more than a little bit overpriced for the times. Thankfully, Amazon(NASDAQ:AMZN) has responded and then some with an update to the device. The new Kindle DX has greatly improved screen contrast, a more inviting graphite exterior, and most importantly a greatly lowered $379 price tag. Now, nobody’s going to claim at this point that the DX is a game changer. It was a great idea that turned out to be impractical for many of its intended audience. The screen refresh is too slow for students used to flipping back and forth before they lose their train of thought, and the size was often found to be prohibitive to easy transportation in crowded areas. That part hasn’t changed. While it may appeal only to a slightly smaller audience than intended, however, this is a great eReader. It’s the only one I have used that has given me perfect, or near perfect, display on every PDF I’ve thrown at it, it’s amazingly easy to read and just simulates the feel of a hardcover better than the usual 6″ screen, and it has all the usual great features you expect from an Amazon eReader. Fortunately they ship on July 7th. I can’t wait to get my upgrade.